Barboza Space Center Junior astronauts and scientists are getting ready for the summer Occupy Mars Learning Adventure Projects. 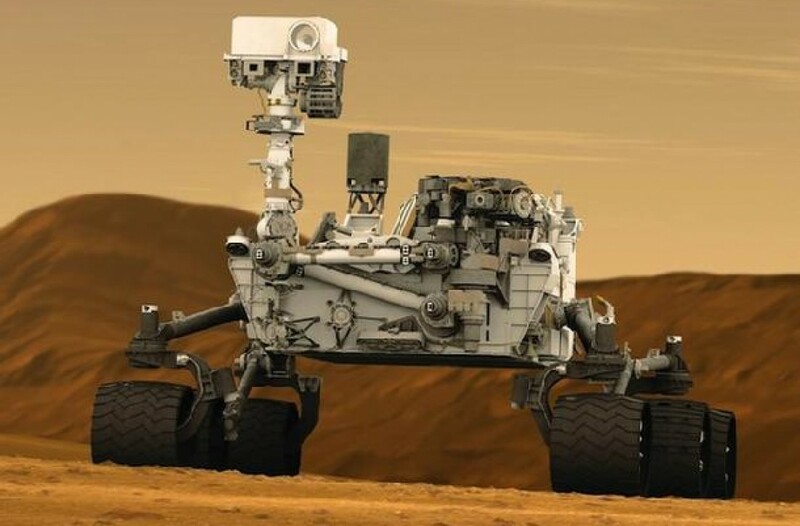 They are building new science centers for Mars. The Teensy is a great way to get more computing power than an Arduino, and in less space. When a decently ranged, no-frills wireless serial link is required, the XBee series is a great solution. 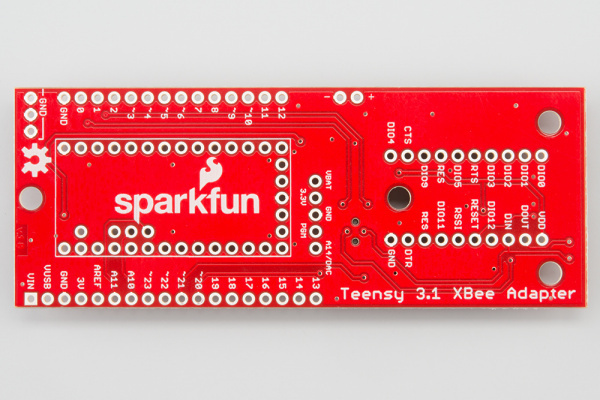 The Teensy 3.1 XBee Adapter joins the two with ease and brings wireless to your Teensy projects. This tutorial will demonstrate the basics of using the adapter board. The basics of packetizing data. 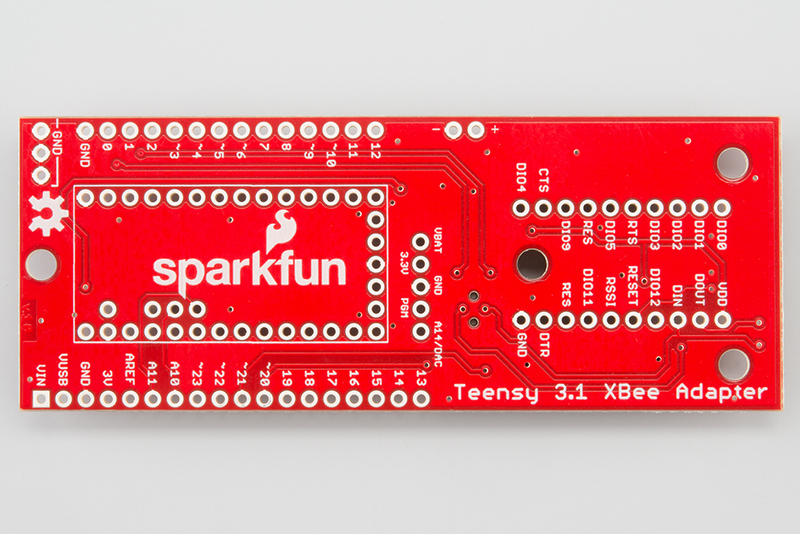 At a minimum, you’ll need an XBee explorer, two XBees, a Teensy and the adapter board. Here’s a list of things you’ll need if you want two Teensy XBee radio stations that are both off-the-grid, plus some useful extras. Getting Started with the Teensy – How to install Teensyduino, comparison of the Teensy 3.1 and LC, and soldering options. Serial Terminal Basics – Lots of information about serial. If you’ve only ever used the Arduino Serial monitor (or no terminal at all), this is a good resource. It shows how to get serial terminals working on Mac, Linux, and Windows. 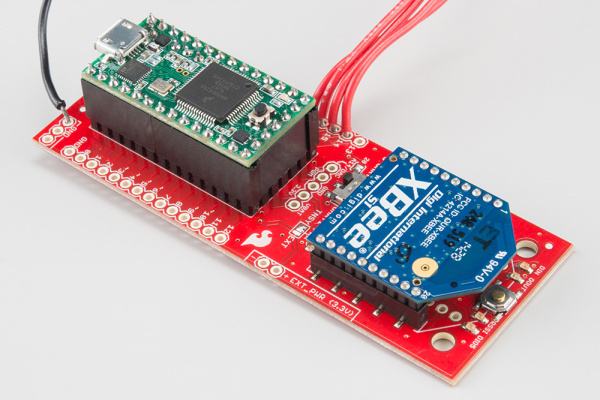 Apart from mechanically connecting the The Teensy and XBee, the adapter has a some features to help you get the most from the hardware. Here’s what each section does. Spare ground connections – my gift to you! Don’t forget to check out the Getting Started with the Teensy tutorial for information on attaching the Teensy to an adapter. There are a few theoretical steps to get a project working with the Teensy and XBee that will be discussed. The XBee requires around 3.3V to operate, depending on the model. The Teensy has an on-board regulator that outputs 3.3V, which is perfect, but only for lower power radios that consume less than 100mA. This is the default configuration. The internal regulator can supply about 100mA of current for 3.3V use, including what is consumed by the Teensy and things on the 3.3V rail. XBees up to 2mW (non-“pro” models) consume up to 40mA, so, if you have a basic XBee, this is probably the route for you. Supply 3.7V to 5.5V (or USB power). 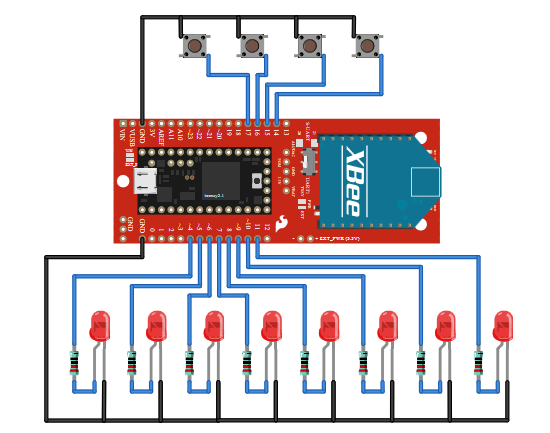 If you have a higher powered XBee, or more than 100mA of load on your 3.3V rail, you’ll need to disconnect the XBee from the internal regulator and supply 3.3v from somewhere else. A Breadboard Power Supply Stick is a possible power source for this application. In this case, switch the TNSY-EXT jumper to ‘EXT’, short the VIN-EXT_PWR jumper, and cut the trace between the Teensy’s USB PWR jumper. Now both the Teensy and XBee are powered from the ext power pins, so you’ll need to provide power and plug in the USB if you want to reprogramming the device. Connect the Teensy to the XBee. The XBee fits straight into the adapter. Make sure the XBee outline matches the silkscreen on the adapter. The Teensy and adapter come as PCB without headers. Check out the Sparkfun Getting Started with the Teensy for example of how pins and sockets can be attached. Use the outer holes to connect all manor of switches and sensors that you wish to read from the Teensy. This tutorial makes a controller, so buttons and LEDs are connected as shown in this diagram. The XBees are shipped with a default configuration (see XBee documentation). Even if they work out of the box, you’ll be using the default IDs and will be suseptable to unseen XBees interfering with your system (because some other designer had the similar thought, “I’m the only one here, why not use the default IDs.”) Also, you can change other more advanced features once you’re familiar with the concepts. ID/PAN ID = A5F1 – This can be any 16 bit hex value used to identify your network. Make sure it is the same for both radios and unique in your area. A5F1 was randomly chosen for this guide. You can choose any ID for your network. Repeat this process so that both XBees have the new configuration. Apply to the system. Powering through the Teensy, use 3.7 to 5.5v. Alternately, supply regulated 3.3v to the EXT_PWER pins. Does the power LED on the adapter illumniated? It shows if power is getting to the XBee. Try running the blink sketch to determine if the Teensy is really powered and ready to recieve firmware. Working with wireless devices is more difficult than just a single arduino because more than one serial port is in use. Where Arduino allows you to simply load the serial monitor to talk to your code, be extra careful remembering which ports what device and which terminal are using. The first serial link in use is between the XBee and computer through the serial explorer. Get this port open and communicating to the XBee, then leave it alone. It ushers bytes you type into it into the air, and prints whatever comes into it’s antenna to your screen. When the system is fully functional, this terminal will tell you what buttons are being pressed. The second serial link is the Arduino serial monitor, which connects to the Teensy over the USB cable. Eventually the Teensy will be disconnected from the computer but it can be usefull to get debugging information from your program while working with it. Be careful not to confuse it with the other serial ports. When you upload a sketch, the serial monitor automatically closes. If you’re using a 3rd party terminal here make sure it is closed before upload in order to free up the USB port for programming. The trickest serial link in this project is the one that goes from the Teensy to the XBee because we have little information about it. Without expensive scopes, use the Din and Dout LEDs to monitor if there is activity from the Teensy to the XBee. One illumniates when the Teensy sends data to the XBee, and the other for showing when data is comming from the XBee to the Teensy. //Serial test using the hardware uart on pins 0/1 (UART1). //Serial test using the software uart on pins 20/21. This sketch works much like the UART1 example but with the AltSoftSerial library, leaving the HW UART free to connect to other resources. Set the adapter’s switch to UART1 and run the sketch. Text should be passed between the two serial terminals. //  4 buttons connected to pins 14 through 17, normally open, short to ground. //  8 LEDs connected to pins 4 through 11, each with their own current limiting resistor. //Load the sketch and press the buttons. In the serial terminal the '0's change to '1's. //any other key to clear the LEDs. // including return, LF, CR, etc. cause all LEDs to be turned off. This sketch demonstrates bi-directional communication and shows off operation that is more than just data echo. Attach buttons to pins 14-17 of the Teensy, and to ground. The pins are pulled up inside the teensy and will float high until a button is depressed. Attach LEDs from pins 4-12 of the Teensy, through a current limiting resistor, to ground. It’s not so important to have all 8, 2 or 3 is enough to demonstrate the effect. Checks for received data from the XBee. If a number 1-8 is received, the associated LED on pins 14-21 is illuminated. If any other character is received, all 8 LEDs are are switched off. The Teensy is really a great small-footprint powerhouse. Paired with the XBee you can get a great long distance serial connection, and with the 72MHz of processing speed (48MHz for the Teensy-LC) you can do a lot with the information. The Teensy is also capable of being a “class driver” device, you can get that data into a computer with ease, turning it into a keyboard, mouse, serial, or midi device. Github repository for the Teensy_3_1_XBee_Adapter – Contains example code and hardware design of this product. 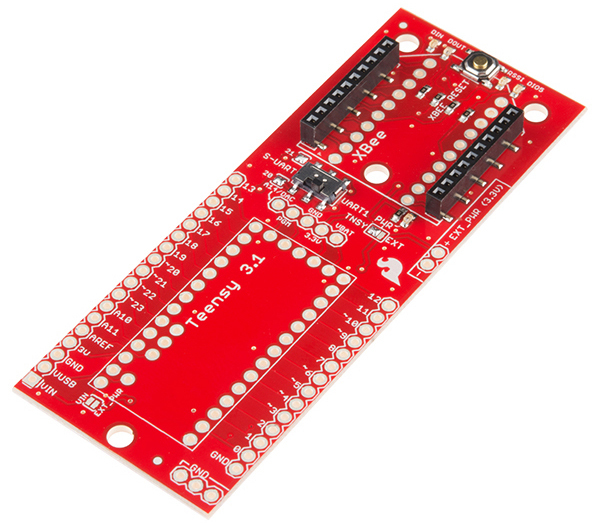 PJRC(Teensy manufacturer) website – Documentation and resources by the Teensy Manufacturer. IC manufacturer for Teensy MCUs – Get real dense datasheets and product documentation about the M0(MKL26Z64VFT4) and M4(MK20DX256VLH7) cortex cores.